Famous for its master artists from bygone eras such as Michelangelo and Leonardo da Vinci, many of Italy's modern-day artists craft their works of art in the kitchen, much to the pleasure of many around the world. Synonymous with pizza, pasta, and gelato, Italian cuisine delights palates all over the world. And if you want to sample the best in Italian food then a journey to Italy is a must. 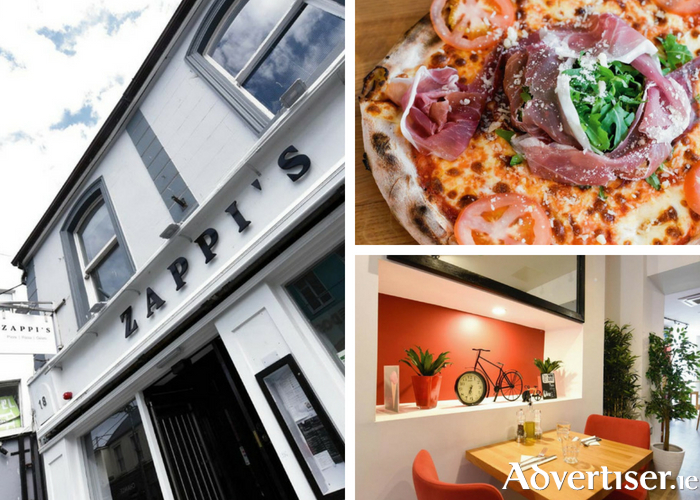 But for those who may not have the time or the 'dough' to make the trip over, Zappi's - Italian Restaurant, in the heart of the city, gives foodies the opportunity to experience an authentic slice of Italy without having to leave the charm of Galway.
. Using only the freshest of ingredients, not only does the restaurant cook up dishes that will make your taste buds dance but the wonderful presentation of the food means it is a pleasure for the eyes as well, so it is likely you will be reaching for your phone to update your Instagram with a shot of your dinner. And for something sweet to complete the culinary trip, Zappi's delivers delicious desserts including some of the best gelato ice-cream to be had in Galway. So for a taste of Italy, go to Zappi's - Italian Restaurant. For more information visit zappis.ie, email [email protected], or check out Facebook page.